This is the third paper in a series which is looking at the ethical and justice issues entailed by the Warsaw climate change negotiating agenda. This paper looks at issue two, namely, the ethics and justice issues entailed by the need to find a global solution to climate change that includes national ghg emissions targets after 2020. The last entry looked at ethical issues entailed by the need to increase the ambition of national emissions targets before 2020 when a new climate change treaty that will be negotiated by 2015 comes into effect. The issues of long-term national commitments to reduce ghg emissions is being negotiated in Warsaw under the Durban Platform. The Ad Hoc Working Group on the Durban Platform for Enhanced Action (ADP) is a subsidiary body of the UNFCCC that was established by a decision of the Durban COP in December 2011. The mandate of the ADP is to develop a protocol, another legal instrument, or an agreed outcome with legal force under the Convention applicable to all Parties, which is to be completed no later than 2015 in order for it to be adopted at the twenty-first session of the Conference of the Parties (COP) and for it to come into effect and be implemented from 2020. Among many other issues, the new treaty will need to take a position on several issues relating to national ghg emissions obligations after 2020. The last entry in this series examined some of the most recent scientific evidence that has concluded that the world is rapidly running out of time to prevent dangerous climate change. The staggering magnitude of the challenge facing the international community to limit warming to 2 degrees C can be visualized by understanding the following chart that depicts three ghg emissions reductions pathways which would allow the world to stay within a specific remaining budget to achieve a specific atmospheric concentration of ghgs. As we explained in the last entry, the IPCC has in September of this year described a budget that would give the world a 66% confidence of preventing the 2 degree C warming limit which the international community has agreed upon. Any atmospheric ghg concentration target can only state the warming that will be experienced at the concentration limited by a probability statement because there is scientific uncertainty about climate sensitivity, a term which is used to describe the warming that will be caused by different concentration of atmospheric ghgs. The level of certainty that we should seek to limit warming to a specific atmospheric concentration is itself an ethical question, not just a scientific question which often goes unexamined by the scientific community when discussing warming limits and emissions budgets to achieve warming limits. 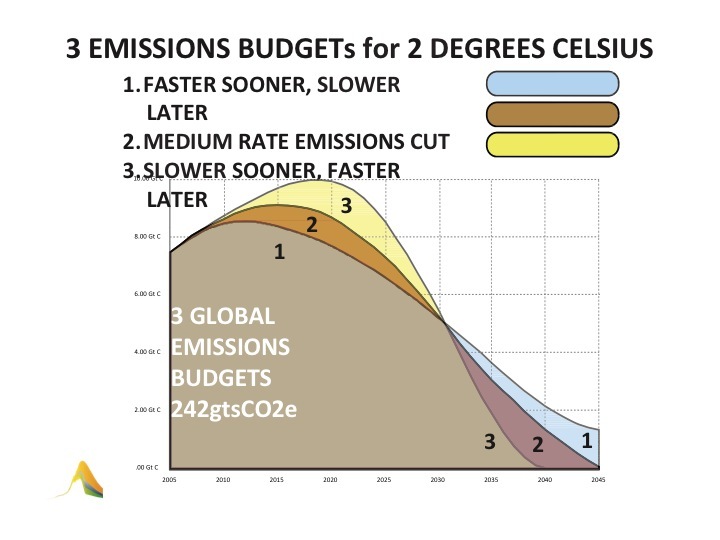 One might ask why the budget prepared by IPCC was not based upon achieving the 2 degree C with much higher levels of certainty, a question which is not discussed in the IPCC report, yet one might speculate that IPCC’s failure to discuss a budget that would assure 100% certainty that the 2 degree C warming limit would not be exceeded was because it would leave no remaining budget for additional ghg emissions. The international community has already emitted so much CO2 that limiting warming to 2 degrees C with very high levels of certainty would mean that future emissions must be negative emissions, that is activities which remove ghg from the atmosphere while immediately ceasing ghg emissions activities. As we have seen in the last entry, if the IPCC budget would have included all ghgs that have been emitted, it would have concluded that there remains only 269 billion tons of CO2e left to be emitted by the entire global community to stay within an emissions budget that will give a 66% confidence that the 20C warming limit would not be exceeded. 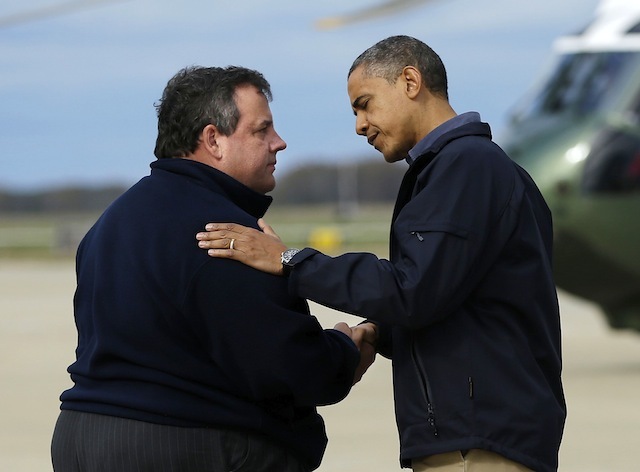 Achieving the global reductions entailed by this budget is a civilization challenging problem of the highest magnitude. The following chart prepared by the Global Commons Institute provides a visualization of the enormity of the challenge entailed by a budget of approximately 242 billion tons. 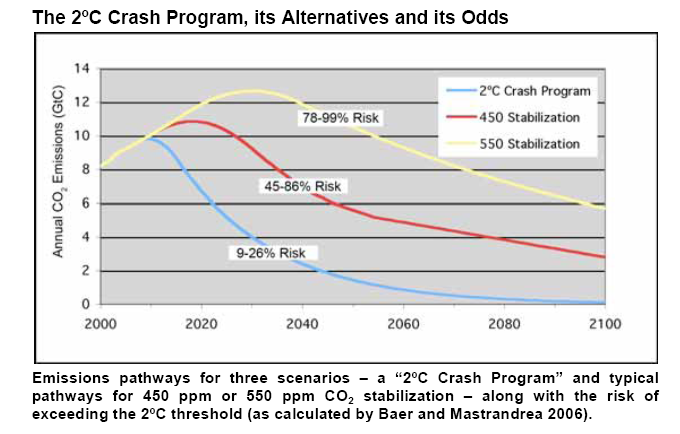 This chart shows 3 different potential missions reductions pathways which will stay within the budget which differ depending upon how fast the needed emissions reductions are begun. The later global emissions peak and begin to be reduced, the steeper the emissions reductions pathways must become. This fact alone leads to the conclusion that any delay in emissions reductions has ethical significance because the steeper emission reductions are needed, the more difficult, if not impossible, it becomes to achieve the needed reductions. 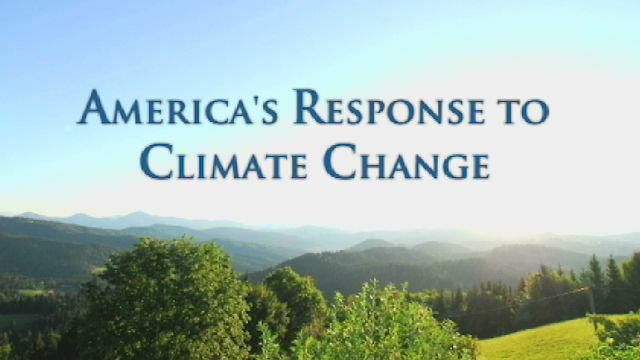 For this reasons, those who have been advocating for a delay in implementing a very aggressive ghg emissions policy can be understood to be engaged in ethically troublesome activities because it is alreadly likely to be too late to prevent some very serious consequences from climate change to hundreds of millions of people around the world. This chart, being a depiction of total global emissions reductions pathway, does not attempt to display what the emissions reductions pathway in any one nation would be if equity and justice were to be taken seriously by nations. High emitting nations will need even steeper reductions in global missions than those depicted in the above chart. If there is any hope of achieving the global emotions needed to limit warming to 2°C, as we explained in the last entry in the series, nations will need to limit their emissions based upon equity. Yet, equity-based emissions for high emitting developed countries will lead to an even greater challenge for high emitting nations. 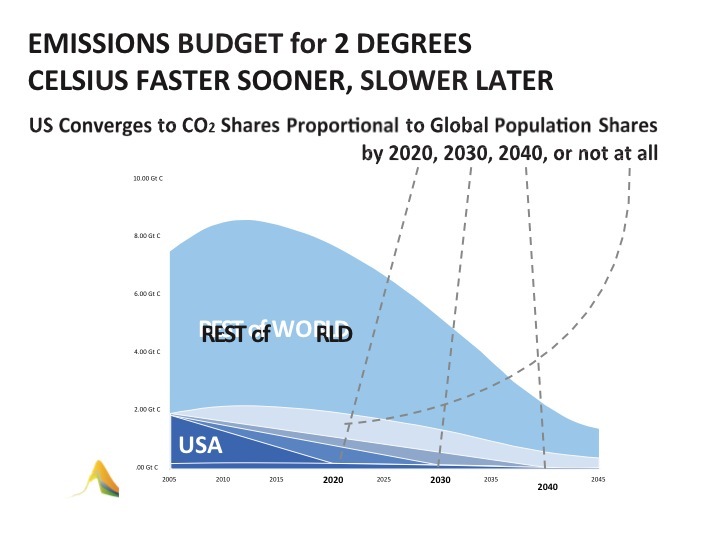 The following chart, also prepared by the Global Commons Institute, depicts what the US share of total global missions must be if United States were to agree on a per capita allocation of the remaining global budget to satisfy its clear obligations to take equity into account although this chart would change depending upon when nations would agree on equal per capita shares and when global emissions peaked. Nevertheless it is helpful to demonstrate the enormity of the challenge entailed by the undeniable need to take equity into account by depicting the consequences for one nation as this chart does. This chart uniquely shows why the United States and other high-emitting nations likely do not want to discuss “equity” in the Warsaw climate negotiations. If United States and other high-emitting nations were to take seriously its obligation to reduce its emissions based upon equity or distributive justice, such a decision would create an enormous challenge for them. And so, it would appear that the United States and several other developed countries have entered the Warsaw negotiations as if they can ignore the equity and justice issues while justifying their national ghg reductions commitments ultimately on the basis of national economic interest. However, emissions reductions commitments based upon national economic interest can not be understood to satisfy any reasonable definition of equity or plausible formula for distributive justice. Distributive justice does not require that all parties be treated equally. But distributive justice does require that parties who want to be treated differently justify their different treatment on the basis of morally relevant criteria. For instance, according to theories of distributive justice, I cannot justify my desire for more food on the basis that I have blue eyes. The color of my eyes it not a relevant basis for unequal treatment when it comes to food distribution. For the same reason, a justification for national ghg emissions reduction target commitments based upon national economic interest alone that does not consider global responsibilities does not pass minimum ethical scrutiny. It is totally ethically bankrupt. 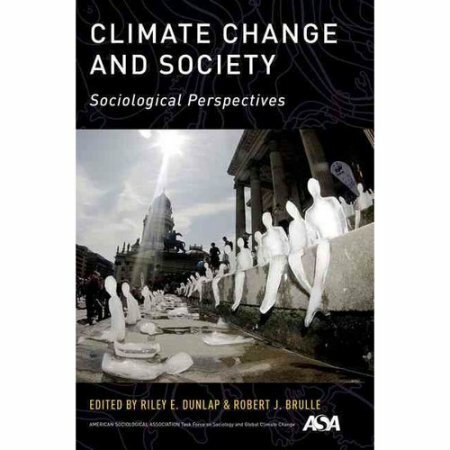 Many commentators on the “equity” issue arising in international climate negotiations dismiss any plea for “equitable” allocations on the basis that because different people reach different conclusions about what equity requires the search for an equitable global solution to climate change should be abandoned. For instance it has been reported that the United States has resisted discussing equity on the basis that there is no objective way of determining what equity requires. Yet the fact that different people reach different conclusions about what equity means does not mean that all opinions about what acting equity means or entitled to respect. As we’ve seen, theories of distributive justice require that people want to be treated differently identify morally relevant criteria for being treated differently. As we have seen, the color of my eyes is not a morally relevant criteria were being treated differently. Similarly my race is not a morally relevant justification for giving me the right to vote above others. 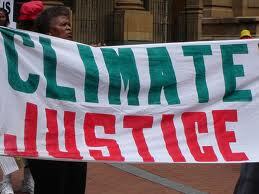 The world urgently needs a deeper conversation about equity and justice and national climate change policies. 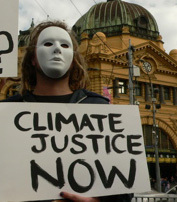 To move the equity debate along, nations should be required to specify specifically how their emissions reductions commitments deal with both the enormity of the challenge entailed by the global emissions budget identified by the IPCC and how their emissions reductions target specifically can be justified on the basis of equity and justice. Although reasonable people may disagree on what equity and justice may require of any national ghg emission reduction commitment, there are only a few considerations that are arguably morally relevant to national climate targets. This entry will end with the identification of a few equity frameworks that have received serious attention in the international community. It is important to stress, however, that although there is some legitimate disagreement about which of these formats to follow in international negotiations, almost all national emissions reductions commitments of large emitting countries fail to pass any reasonable ethical scrutiny. In discussing equity and the distributive justice of national commitments, the relevant criteria for being treated differently that have been recognized by serious participants in the debate about equity include: (A) per capita considerations, (B) historical considerations, (C) luxury versus necessity emissions, (D) economic capacity of nations for reductions, (E) levels of economic development, and (E) and combinations of these factors. The fact that reasonable people may disagree about the importance of each one of these criteria does not mean that anything goes as a matter of ethics and justice. In addition, the positions actually been taken by nations on these issues in the negotiations utterly fail any reasonable ethical scrutiny. For this reason, concerned citizens of the world should focus heavily on the obvious injustice of national positions on these issues rather than worrying about what perfect justice requires. In addition, in all probability, a global framework for equity would include some forward looking considerations including per capita considerations and backward looking considerations such as historical responsibility from a specific date, modified by certain economic considerations including economic ability to respond rapidly and perhaps differences between necessity emissions and luxury emissions. A. What specifically is the quantitative relevance of your emission reduction commitment to a global ghg emissions budget to keep warming below the 2°C warming target. In other words how does your emissions reduction commitment in combination with others achieve an acceptable ghg atmospheric concentration that limits warming to 20C. C. How specifically does your national commitment take into consideration your nation’s undeniable obligation under the UNFCCC to base your national climate change policy on the basis of “equity.” How have you operationalized equity? 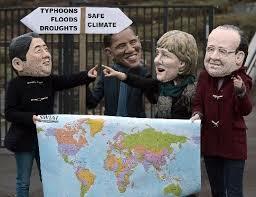 c. nations should have applied the precautionary approach to climate change policy since 1992 when the UNFCCC was adopted? As we have noted, citizes of the world need to increase international understanding of the failure of nations to respond to equity and distributive justice. The following equitable framework formats are among others in serious discussion in international climate negotiations about what “equity” requires. However, as we have argued, it is more important in this moment in history to achieve a higher level of understanding of the utter injustice of national ghg emissions commitments than it is to get agreement on what perfect justice requires. This is particularly because, the international media, for the most part, is utterly failing to cover the obvious ethical unacceptability of most national commitments on climate change. • Contraction and Convergence (C&C) is a proposed global framework for reducing greenhouse gas emissions to combat climate change. Conceived by the Global Commons Institute [GCI] in the early 1990s, the Contraction and Convergence strategy consists of reducing overall emissions of greenhouse gases to a safe level (contraction), resulting from every country bringing its emissions per capita to a level which is equal for all countries (convergence). It is intended to form the basis of an international agreement which will reduce carbon dioxide emissions to avoid dangerous climate change, carbon dioxide being the gas that is primarily responsible for changes in the greenhouse effect on Earth. C&C does not require immediate per capita emissions per country but allows a later convergence on capita allocations to deal with other equitable considerations. • Greenhouse Development Rights is a framework wherein the burdens for supporting both mitigation and adaptation are shared among countries in proportion to their economic capacity and responsibility. GDRs seeks to transparently calculate national “fair shares” in the costs of an emergency global climate mobilization, in a manner that takes explicit account of the fact that, as things now stand, global political and economic life is divided along both North/South and rich/poor lines. • Equity in the Greenhouse, South-North dialogue is a global “multi-stage approach,” based on principles of: responsibility; capability; mitigation potential; right to development. • Brazilian Historic Responsibility is based primarily on historic responsibility for emissions: developed countries are each allocated emissions cuts based on the total contribution of their historic emissions (going back to 1800s) to the current global temperature increase. • Oxfam has proposed an approach, subsequently supported by various other NGOs, that uses a calculated responsibility and capability index to allocate an overall developed country target of 40%, and allows for a climate finance budget of $150bn to be allocated using the same method. Developing countries individual need for financing is assessed in line with available economic capability, taking into account intra-national inequality, and hence climate finance is provided on a sliding scale (below a minimum ‘available capability threshold’). 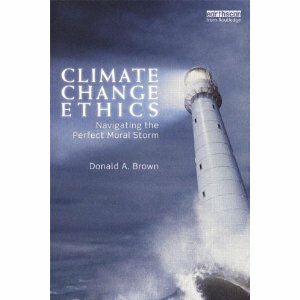 There is a need to turn up the volume on the ethical dimensions of climate change for many reasons including the fact that ethically dubious positions of nations are being hidden in self-interested arguments made in opposition to climate change policies and there is no hope of meeting the 2 degree C warming target without a serious national response based upon equity. 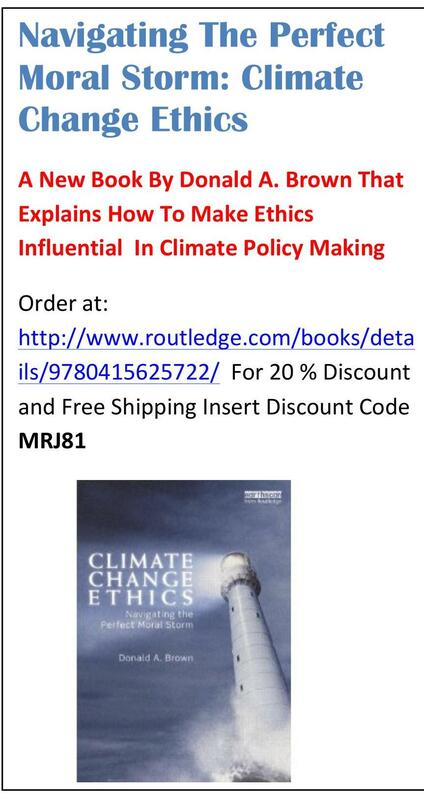 One need not seek agreement on what ethics requires to get traction on ethical issues because most opposition to action on climate change fails to survive minimum ethical scrutiny. The key is to spot the injustice of positions not on getting agreement on what justice requires. The longer the world waits to develop a global approach to climate change, the more central the ethics questions become about the most contentious issues in consideration.